Firm: Wright & Talisman, P.C. 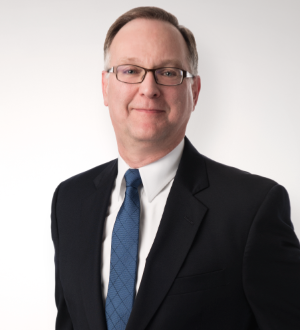 Mike applies his thirty-five years of energy law experience to help navigate regulatory requirements and issues for clients in the electricity, natural gas, and oil pipeline sectors. He excels at developing clients’ rate cases, infrastructure projects, and proposed services and tariffs, and managing stakeholder and regulatory reviews to achieve favorable outcomes. Mike also is accomplished in negotiating contracts for interconnection, transmission, storage, and other services, and for the development, financing and sale of energy infrastructure assets. Mike works with each client to identify and evaluate the best available options for achieving their goals in time- and cost-efficient ways. Recognizing that his clients typically have to deal continuously with affected stakeholders on other issues and in other forums, Mike stresses developing justifications for a client’s desired outcome without creating needless political or personal friction with regulators, customers, and opponents. Mike is regularly involved in proceedings before the Federal Energy Regulatory Commission (FERC), the Department of Energy, the Pipeline and Hazardous Materials Safety Administration and the North American Electric Reliability Corporation (NERC). He is also experienced in state regulatory proceedings, and in litigation in federal district courts and courts of appeals.